This study identified the determinants of fishermen’s willingness to pay for fishery management and measured mean fishermen’s willingness to pay for lake Zeway fishery management. 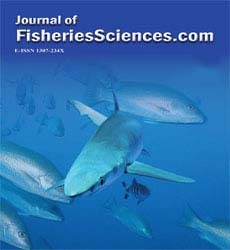 A two-stage random sampling techniques was applied to identify 150 sample fishermen’s from Adami Tulu Gido Kombolcha, Zeway Dugda and Dugda districts surrounding lake Zeway, Ethiopia. The elicitation method used to value is a single dichotomous choice and open ended follow-up question. Tobit model is used to identify the determinants to willingness to pay of the fishermen’s. Descriptive result showed that average household size was 4.04, experience of the respondents in fishing was 11.12 years, monthly income from fish was 2339.17 birr/month , age of the respondents was 33.38 years and from the total sample 92.67% were literate and 7.33 were illiterate with average educational level of 5.71 grades. The mean willingness to pay for fishery management was found to be 36.97 birr/month and aggregating the mean value over total fishermen households will give a total of 37,746.37 birr/month or 452,956.44 birr/year. About 25% of the respondents were not interested to pay for fisheries management in lake Zeway. The tobit model result revealed that the income from fish, educational level of the respondent, experience of the respondents, respondent’s perception about lake fishery management are positively and significantly affect willingness to pay. Alternative income of the respondents has negative and significantly affect willingness to pay. Applying tax on the users was recommended. Training and awareness creation, education through formal and informal should be needed to fulfill the gap of perception.